The Charitable Trust makes gifts to serving or former individuals employed in the security industry to relieve distress and to charities and organisations aligned to the wider aims of the Company of Security Professionals. The following are some examples of the latter: Victim Support; the Missing Persons Helpline Charity; Child Victims of Crime; the Lucy Faithfull Foundation (preventing or dealing with the sexual abuse of children); the Freedom Charity (combating forced marriage and dishonour killings); ‘C’ Group Royal Marines (as a chosen successor to SSAFA Forces Help - Headley Court); the Police Rehabilitation Centre and the City of London Widows and Orphans Fund. The Charitable Trust also manages the Security Benevolent Fund (SBF), a fund within the charity which is there to assist members of the security profession who are distressed and in need of welfare support. Please click on the links to learn more about the SBF, examples of the assistance it gives and how you can help. From time to time, the Charitable Trust makes gifts to support appeals within the City of London and which align the Company’s charitable aims with those of the City Corporation and the Company’s church, St Peter ad Vincula, within HM Tower of London. 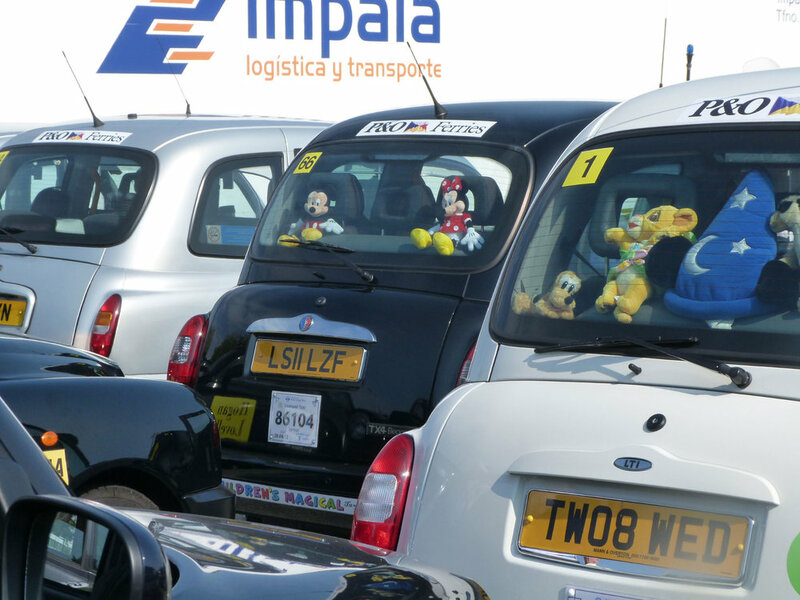 Greatly favoured as an annual commitment by the Trustees is sponsorship for the Worshipful Company of Hackney Carriage Drivers Magical Taxi Tour to Disneyland Paris for children with life-threatening illnesses. Additional sponsorship of children, parents accommodation, carers and a taxi has also been offered by generous personal gifts from a Company member. The Company is especially supportive of initiatives which encourage good citizenship and the avoidance of crime amongst young people. Foremost amongst its' patronage is a progressive association since 2002 with the Bexley Business Academy situated in one of the most socially deprived areas of London and the opportunity to encourage the inspirational change in aspiration and performance achieved by the teaching staff and pupils at the Academy. In 2012, the Trustees approved a competitive annual award to two Year 13 students towards their living expenses whilst at university. The students who take part in the Whittington Course are nominated by Bexley Business Academy. To encourage links with future security professionals, the Trustees sponsor an annual financial award for the best criminology paper prepared by a student at the University of East London and affords the winning student the opportunity to network with the UK’s top security and law enforcement experts. The winner of the award in 2013 was Alexandra Powell. Each year our Charitable Trust awards a prize to a student attending the MA Course in Terrorism, Security and Society at the Department of War Studies, Kings College, London. The winner of the 2017 prize was Elliot McArdle who won the prize with his essay: "What is the Islamic State? How is it different from Al-Qaeda?" To read the essay please click Elliot McArdle What is the Islamic State How is it different from Al Qaeda . Thanks to an award from the Charitable Trust, students of Prendergast Vale School in Lewisham will be able to add to their library of ‘graphic novels’. Click here to read more. The Trust annually makes donations to units of the Cadet Forces.